1. Blanch almonds in hot water and remove the outer skin. 3. Fry the cashewnuts and pistas separately in little ghee and powder it in a mixie. 4. Boil milk and mix with condensed milk. 5. Keep it in a fridge till chill. 6. Pour the cold milk in a mixie with the grated almonds, cashews, pistas and vanilla essence. 7. Run the mixie at low speed for a few seconds. 8. Serve in a tall glass with whipped cream on top. 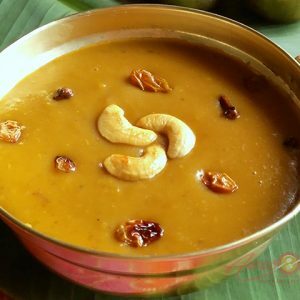 Feel free to comment or share your thoughts on this Dry Fruit Kheer Recipe from Awesome Cuisine.